On the final day the California legislature was in session for 2017, both chambers did what state legislatures often do at the close of a year: in short, legislate. The volume and pace of activity tends to markedly tick up as some bills make it through while others fall by the wayside. The final day in the Sacramento was no different. But the bill FHQ was eyeing was SB 568, the amended legislation that would shift the California primary -- a consolidated presidential and statewide primary -- from the first Tuesday after the first Monday in June to the first Tuesday following the first Monday in March. That is not a proposal without significance, but in its amended form was scaled back from the more ambitious version that was originally introduced in February. It was that simpler version that eventually came up for a third reading and vote in the Assembly on the day the legislature was set to adjourn. Heading in, the early handicapping projected passage, and that was to be expected given Democratic support of the measure and the party in control in both chambers. Moreover, a similar bill that originated in the Assembly passed the lower chamber on a near party line vote back in July. The vote on SB 568 mirrored that earlier vote on AB 84, passing 55-21 largely along party lines. Three Republicans crossed to vote in favor of the legislation while only one Democrat defected to vote no. That sent the amended bill back to the state Senate for concurrence where it, too, passed -- 26-10 -- on the strength of mainly Democratic votes. One member from each party opposed the party positions on the vote. At this point, it seems as if Governor Jerry Brown (D) will sign the bill into law (but even in the event of a veto, Democrats have supermajorities in both the Assembly and Senate and would need to keep either nearly all of their members on board or the same supporters together to reach the two-thirds threshold to override the veto). Regardless of how it gets there, it looks like this bill will become law, and California will see its presidential (and statewide) primary shift up three months from June to March in 2020. What does it mean? As it turns out, as others have gotten wind of this potential move, there has been no shortage of reactions to its impacts. Most have seen BIG STATE MOVING LOTS OF DELEGATES TO THE FRONT OF THE 2020 CALENDAR and have (over)reacted in predictable ways. Let's look at some of these reactions and offer some context along with some other notes of interest about the likely move. Some have contended that a California move to the earliest date allowed non-carve-out states by the national parties will advantage homegrown candidates. That really is not an unreasonable conclusion. Someone like Kamala Harris would seemingly have a leg up in terms of organizing in the state, raising money from donors -- big money and otherwise -- in the state, and has already won statewide there. That looks good on paper, but is also a hypothesis that has been tested in other states with other candidates in past cycles. And the results have been mixed, and anything but a clear advantage for home state candidates. Jimmy Carter's nascent 1980 team was involved in nudging legislators in both Alabama and Carter's own Georgia to move their primaries to coincide with the Florida primary in March. The idea was similar: give a candidate from the region (the South) some early wins. In addition, the primary motivation for the Carter team was to counter early hypothetical wins by Ted Kennedy in New Hampshire and Massachusetts. Of course, Carter benefited from but did not necessarily need that southern counterpunch after winning in New Hampshire. And that is a decent lesson to take from this: unintended consequences. [Actually, that is a good lesson for anything involving the patchwork presidential nomination process.] Just because a candidate's home state has a well-scheduled primary or caucus, it does not mean that the move will pay dividends when it counts. First, those favorite sons and daughters have to survive to the point on the calendar on which their state primary is scheduled. California will be fifth among at least seven other states on March 3, 2020. Harris, Eric Garcetti or any other Californian vying for a presidential nomination in 2020 will still have to show some progress in the four likely February states, Iowa, New Hampshire, Nevada and South Carolina. Four losses and a month's worth of potential negative press/fundraising as a result is no way to go into what would become a do-or-die contest back home in the Golden state. And no, Rudy Giuliani, you cannot just skip those first states and put all your chips in the California -- or in the former New York mayor's case, Florida -- basket. One runs the risk of losing any positive reaction to good showings in the early states and/or the race and other (victorious) candidates passing you by. Second, as mentioned above, candidates will have options other than California on March 3, 2020. Texas or Virginia or Tennessee or take your pick. Candidates can go elsewhere in search of delegates. The Democratic candidates in 2008 that survived to Super Tuesday steered clear of Illinois, for example. They ceded the state to Obama and focused elsewhere. The same was true of Arkansas on the same date that year. No one ventured into the Natural state either, yielding to Clinton (and Huckabee) there. Third and alternatively, a home state contest could also be a net negative for their candidate(s). And that is not necessarily because there may be multiple Californians in the race. There will be winnowing during February that will likely guard against that (multi-Californian) negative. No, home state contests can become must-wins for their candidates or may be opportunities for opponents to deal a death blow to the campaign of those from that state by beating them there. Both Jeb Bush and Marco Rubio in Florida in 2016 comes to mind on both those points. Each had discussions about primary timing and allocation with Sunshine state legislators in the lead up to 2016, and both Bush and Rubio and their teams were thinking the same thing: an unpenalized, winner-take-all Florida primary sure would be beneficial. On paper, well in advance of 2016 voting, it was. However, presidential nominations are not won and lost on paper. Few elections are. What looked good to Rubio's and Bush's teams during the invisible primary in 2013-15 looked far different in 2016. Bush did not make it to Florida on March 15 and the loss there knocked Rubio from the race. It takes time to organize elections, and in that time -- from date scheduling to actual election -- conditions can change and ruin even the best laid plans. None of this is to suggest that California will not be a boon to one of its home-grown candidates. Rather, the point is to provide some context. It is much to early to come to any such conclusion with an level of confidence and that is mainly a function of how similar moves have played out in other states and for other candidates during the post-reform era. Others have argued that an early California primary could price out some candidates; that the financial burden will now be too great for all but the candidates richest in resources. 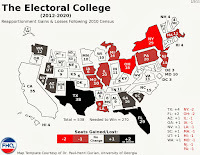 While there is a kernel of truth to that contention -- big, populous, expensive state newly early on the calendar makes it tougher on candidates -- another way of approaching the analysis of the impact is to look at how things would be in 2020 without California alongside seven or more other states in early March. None of this even considers other states that may also look at this early March position between now and mid- to late 2019. The point here is to highlight the fact that California has chosen a landing spot on the calendar that tends to be overly clustered with other contests and has typically allocated the most delegates of any date on the calendar in most cycles. That was certainly true in 2016. With or without California, the point on the calendar most often dubbed Super Tuesday was going to be super anyway. That creates an obstacle -- having to compete in many places at once -- for candidates that has usually separated the wheat from the chaff (if that winnowing had not already occurred to some degree during the preceding invisible primary and early contests). Yes, California adds to that burden from a delegates and expenditures standpoint, but what is the marginal effect adding the Golden state to the mix on Super Tuesday? Do any more candidates drop out because of their -- California's -- addition to the line up? In real time, in the midst of primary season, probably not many. The effects will most likely be felt during the invisible primary, where much of the nomination maneuvering has transitioned to throughout the post-reform era. Now, to be clear, this California move is endogenous to candidate decision-making. Prospective candidates may look at a slate of contests that includes California, Texas and others and say, "Hey, I can't compete with the fundraising (or endorsements, media attention, organization) of candidate X! I'm not running." But again, I am skeptical that those candidates would not arrive at the conclusion even if California still had a June primary in 2020. And to be fair to Walter Shapiro, who wrote the article cited in the "Point" above, we really do not have a clear and specific answer to the the question of how Democrats will adapt to super PACs in 2020. The Republican experimentation in 2012 and 2016 likely indicates the limits, but the Democrats lag in that experimentation in the primaries phase following an uncompetitive race in 2012 and a battle in 2016 where super PACs and the Citizens United decision were negatively viewed. Still others have made the case in the lead up to these final votes on the California primary bill that California will provide a big net delegate margin that will effectively end the race for the Democratic nomination. This is a problematic claim from at least a couple of perspectives. First, that may be true, but not necessarily because of this California move. Again, legislators in the Golden state have settled on a date that is already moderately crowded with other contests and may get even more crowded between now and the end of 2019. Sure, that could lead to the effective conclusion of the nomination, but that depends on a lot of factors: invisible primary fundraising, media coverage and organization not to mention how the likely first four contests go in February. There is a scenario where someone runs the table like Al Gore did with a similar calendar in 2000. Such a scenario would likely see this hypothetical frontrunner build not a delegate majority but enough of a delegate advantage to render a comeback by a trailing candidate nearly impossible. Absent that clear frontrunner running away with the nomination, however, the 2020 race is unlikely to see the race run its course by early March. That is even more true in light of the fact that the field of Democrats seeking the nomination looks like it will be quite large. There will be some winnowing in February, but it remains to be seen just how much the field will have shrunk by a Super Tuesday that includes California. There are and will be too many moving parts shifting between now and that point in the cycle. Speaking of building delegate leads, the second reason California's presence on Super Tuesday will not be the decisive contest (via large delegate advantage) is the allocation rules. The Democratic National Committee has maintained a proportional allocation mandate on all states for every cycle stretching back into the 1980s. That affects the math. One candidate -- homegrown or otherwise -- is not going to waltz into the Golden state and leave with a win and nearly 500 delegates. California is not winner-take-all. Instead, it would take a significant victory in the state to produce what Matt Seyfang calls a net delegate margin large enough to offset potential delegate wins elsewhere for other candidates. Hillary Clinton has won each of the last two competitive California primaries by around 8 percent. That translated to a +38 delegate advantage in February 2008 and a +33 delegate margin in June 2016. That represents a significant building block in any race for delegates, but not a death knell to other candidates unless combined with many other wins across the Super Tuesday slate of contests. And to state the obvious, a 30-40 delegate advantage coming out of California is a far cry from a nearly 500 delegate margin under winner-take-all rules. Further out on the fringes of social media, some are contending that moving the California primary is yet more evidence of the Democratic National Committee "rigging" the presidential nomination process. The DNC is not rigging the nomination. National parties create the overarching rules that provide guidance on the parameters around how states -- state parties and state governments -- behave in the process. The DNC has put in place limits on the timing of primaries and caucuses and has a mandate for proportional allocation (with minimal latitude provided to the states). Both parties have various ways of doing this, but both examine the rules from the previous cycle in the two years after a presidential election. In recent cycles, both parties have completed that process and approved new rules for the next cycle in the late summer or early fall of the midterm election year. That gives the states about a one year window in which to respond with any tweaks to their previous scheduling, allocation or participation regulations, or to leave well enough alone if the previous configuration remains compliant with the national party rules regime. If anything, California is acting perhaps too early by moving up its primary before the national party rules are complete for 2020. A change at the DNC level could mean that California is non-compliant and would have to again make legislative changes to the primary date. This is the main reason most states hold off until the year prior to the presidential election to make any changes. There is more certainty then in terms of the national party restrictions and how other states may be reacting to them. And there is not any apparent evidence that the national party was in any way involved in the introduction of the legislation to move the primary up. For one thing, when frontloading and Iowa's and New Hampshire's carve-out positions on the calendar were being discussed at the first meeting of the Unity Reform Commission -- the group tasked with reexamining the Democratic delegate selection rules -- the California bill was raised. Sanders appointee, Gus Newport, mentioned in passing that he "thought" the California legislature was looking at moving its primary up to an earlier date. There was no reaction from the rest of the group; no angry denunciations, no commentary on how California has tried this in the past and its impacts, and no discussion of the implications for 2020 from Clinton or Sanders appointees. Nothing. And that was a day after one of the bills in the Golden state passed through its chamber of origin. It is not that the URC not responding is evidence that the DNC was not intervening in California. Rather, what was noteworthy at the time is that no outrage was expressed over it. If anything the existing DNC rules -- directly or indirectly -- constrained the legislative actions in California. The bill that now heads to Governor Brown's desk for consideration began in a much more provocative form. The original legislation that passed the state Senate called for moving the primary to the third Tuesday in March, but with the added provision that the governor could shift the date up even further onto the heels of Iowa and New Hampshire. Under a hypothetical scenario in which the California governor opts in 2019 to move the primary into February, said primary would be non-compliant and thus open the state up a 50 percent cut to its delegation. But that provision disappeared in late August and in its place was a more convention move to the first Tuesday after the first Monday in March that, more importantly, would be compliant with the DNC delegate selection rules that are likely to carry over to 2020. Of course, the DNC Rules and Bylaws Committee (and later the full DNC) could change that in reaction to this move in California. The party will have the time to do that, but whether the inclination is there is another matter. There are a few Californians in the DNC that may balk at such a move. But the reality of this likely shift in California is that it has been a self-interested maneuver aimed at increasing the state's influence in the process. Many state actors have sought as much many times in previous cycles. And that is something the DNC is hands off about unless a move violates the parties rules (see Florida and Michigan, 2008). Finally, some have argued that a California move will draw or has in the past drawn other states forward on the 2020 calendar. This is trickier to tackle. The process is obviously complex as all of the above indicates. It should also be said that from a superficial angle, it makes sense to reason that if a big state moves up, others will follow. FHQ has even done that. However, when we do those exercises hey tend to be in the abstract with some historical examples to back it up. The California move to late March for the 1996 cycle brought Oregon along for the ride, but that sort of intra-cycle call and response was unusual then. Yes, the majority of southern states coordinated a move nearly en masse to early March for the 1988 cycle, but prior 2000 most of the movement happened in a more independent (uncoordinated) fashion and between cycles rather than within them. There are exceptions to that -- the Great Lakes primary of mid-March 1996 or the aforementioned Oregon shift that same year -- but that began to change in 2004 and 2008. States, then, reacted to California's 1996 move in 2000. California actually reacted to its 1996 move in 2000 by moving up from late to early March. So there was both intra- and inter-cycle reaction to California's double move. But California's impact on the de facto national primary that developed for 2008 is being overstated by Politico in the article cited above. Democrats aligning their timing rules with the Republican National Committee by allowing February contests in 2004 set the stage for the formation of the 2008 calendar. There were 17 Democratic contests in February 2004, seven of which were on the first Tuesday in February. An additional four states moved to the first Tuesday in February before 2007. 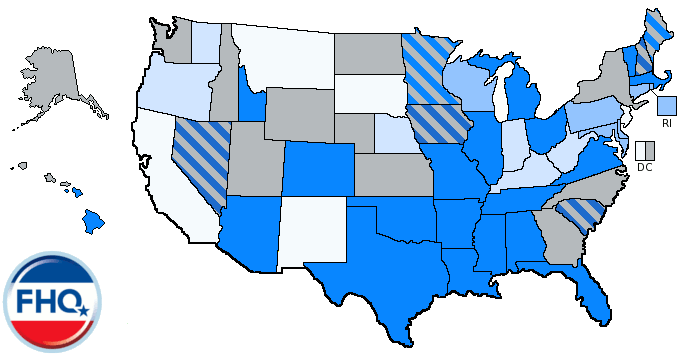 That is 21 February states that were either going to repeat February contests by law in 2008 or had a history of them in 2004. Then add in wide open contests for both nominations. All of this was in place before California moved its primary for 2008 during the first half of 2007. There was already a foundation in place drawing states to earlier dates on the 2008 calendar. California and three other states had legislation introduced in January 2007 to move their primaries to February 5, 2008. Only an additional seven primary states initiated legislation to shift to February or earlier positions after California began its effort to shift into February 2008. An argument could be made that California contributed to that stampede to what was called Titanic Tuesday. However, what was not witnessed in 2007 was "more than 20 other states also mov[ing] up their contests in response." That is false. The conditions were already in place for a massive move before California legislators began their work on the effort in early 2007. What is different in 2020 is that California has moved much earlier than most states tend to move. Should Governor Brown sign SB 568 into law, the two most populous states will occupy the same [early] spot on the calendar for the first time. Texas is already scheduled to have an early March primary in 2020. Those two states have never shared a date on the presidential primary calendar in the post-reform era. New York shared an early date with California in March 2000 and February 2008, but Texas had already slipped past New York in population by 2000. Texas offers another option for those [non-Califorinian] candidates who would be seeking delegates on that date outside of the Golden state. But together, they are quite the pairing so early on the calendar. And likely to be joined by others. One early reaction to the California bill passing both legislative hurdles was from the heart of the SEC primary move for 2016. Like 1988, there was some coordination among some southern states to coalesce on an earlier spot on the 2016 primary calendar. That effort was spearheaded by Georgia secretary of state, Brian Kemp. Asked for comment in the wake of passage in California, Kemp's office suggested one option may be to move the SEC primary to a later date. For the most part, states have not tended to unilaterally disarm in that way, moving to a later date. To the extent that has happened, it has usually been budgetary. It is a function of states experimenting with a separate and earlier presidential primary, but not getting as large a return on investment as expected. States like Alabama, Arkansas and North Carolina have decoupled their presidential primaries from (pre-convention) May and June consolidated primaries only to reverse course soon thereafter. The costs of funding a new and separate presidential primary were too steep to carry out more than once; particularly after it failed to net any of them the influence they sought. The other scenario where states have moved to later dates is when forced to by a change in national party rules. It was mentioned above that in 2004 both parties allowed February contests. 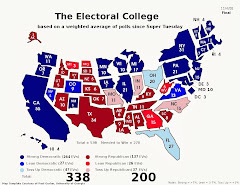 After the de facto national primary in 2008 and some of the other maneuvering that pushed Iowa and New Hampshire into the year prior to the presidential election, both parties moved to protect the early states -- carving out February for those four contests -- and prohibiting other states from holding contests prior to March. 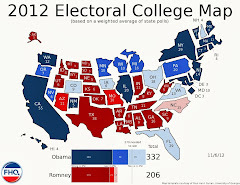 That left a lot of states with February primaries on the books in their states that were forced to move back in 2012. Some shifted to the newly established earliest allowed date -- the first Tuesday in March -- while others pushed back even further. But those states were prompted to move by a change in the national party rules. At this time, there is no such prompting -- via penalty or incentive -- from the national parties. That may change between now and 2018 when the 2020 rules are finalized. One final aspect to an SEC primary move, especially if it is to a much later date, is that on the Democratic side, such a move would mean shifting back a meaningful segment of the Democratic primary electorate: African Americans, who make up over half of the primary electorate in a number of those southern states. The optics on that would likely be bad, but it remains to be seen whether Republican-controlled legislatures across the south would view that as a roadblock. Still, that is an implication of the SEC primary potentially moving back. California had not adjourned its session before talk emerged from Oregon about the possibility of the Beaver state dislodging itself from its traditional May primary position to perhaps join California in March. But California was only part of the rationale in Oregon. Efforts in 2015 and 2017 to shift the Washington state primary from May to March were also a part of the Oregon secretary of state's calculus. SEC primary meet a PAC12 primary (or at the very least a West Coast primary)? Let's focus on the coastal states. There is some reason to be skeptical of Oregon and Washington joining up with California based on the evidence we have now. There are several factors that complicate matters for the Golden state's northern neighbors. First, the efforts in both states to this point are mainly Republican-driven. It was the Republican secretary of state in Oregon last week who said he would push for an earlier primary. But Oregon has a consolidated primary in late May, one they would have to split up and fund to have an earlier presidential primary. The statewide primary cannot be earlier -- in March -- because it would conflict with the state legislative session and that is prohibited in the state (no campaigning by legislators during their legislative session). The key question in Oregon, then, is whether Democrats will be willing to fund a separate and earlier presidential primary in March 2020. They tried that in 1996 and went right back to the current set up in 2000. In Washington, Secretary of State Kim Wyman (R) spent some of 2015 trying to get Democrats in the Washington state legislature to go along with a plan to move the primary there to the second Tuesday in March for 2016. That got bottled up in committee. In the grand scheme of things, that has everything to do with Democrats having opted out of the state-funded primary since it came into being via ballot initiative in 1989. Washington Democrats have just preferred caucuses. They -- caucuses -- are much easier to move around because they don't have to go through a legislature in most cases. And Washington has had earlier caucuses in the recent past. One could see Democrats there opting for caucuses aligned with a California primary, but again, there is reason to be skeptical that Secretary Wyman will be successful in lobbying to get the primary moved up. Should Washington Democrats pull the trigger on such a move, it could put some pressure on Oregon Democrats to follow suit with a primary move. But that likely won't happen until 2019. And it goes without saying that at this point, March 3 looks like it is going to be quite crowded which could minimize the impact of a western (sub)regional primary. Should the SEC primary states disarm and move back, then maybe that western primary will be noteworthy, but see the above discussion about that SEC primary possibility. There is also the chance of a more expansive PAC12 primary. Colorado has a primary now and the first Tuesday in March is an option at the governor's disposal in the Centennial state under the new state law. Additionally, Utah passed legislation earlier this year to fund a presidential primary. But the legislature will have to go back at some point and revisit the timing. The February and June options available to the state under law are both non-compliant with national party rules on timing. Finally, Arizona would have to move up a couple of weeks in March as well. There is no sign yet that anything along those lines is in the works. Overall, it is something that could gain traction if there are both Democratic and Republican proponents across those states. In the end, it looks as if California will move up to March for 2020. But be careful about coming to conclusions about what that means. It is still early yet.